oooh, sounds like a bit of me! Doesn’t it sound fab, Paula? I’m a-nagging the man about this trip already. Well I hope you get to share a Ghan jaunt with us too Fi. That’s on my to do list as well. Definitely need a dining car and nice bar on these trips, Trish. At least then you can fantasise you’re all glam on the Orient Express! I am not a lover of train journeys. 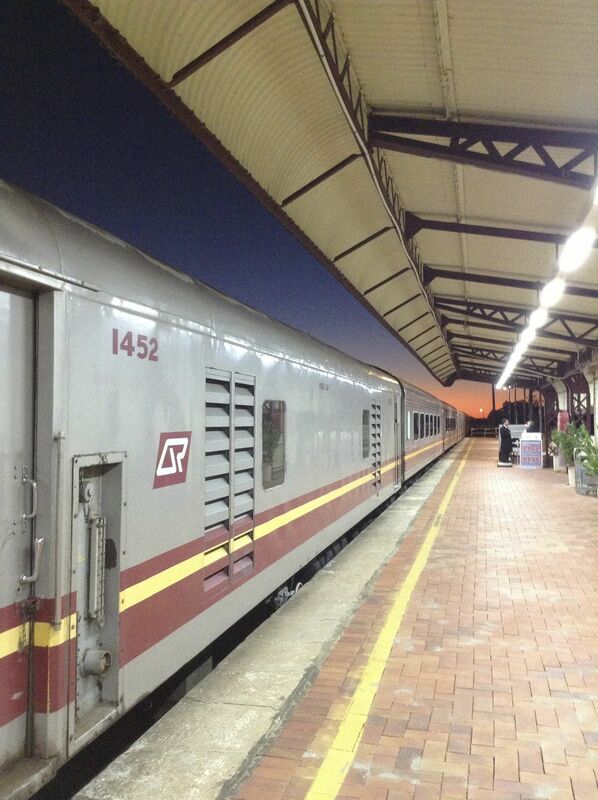 Three months as a TCS girl (Train Catering Services) in my uni days was enough to turn me off for life. Then I married a train lover. 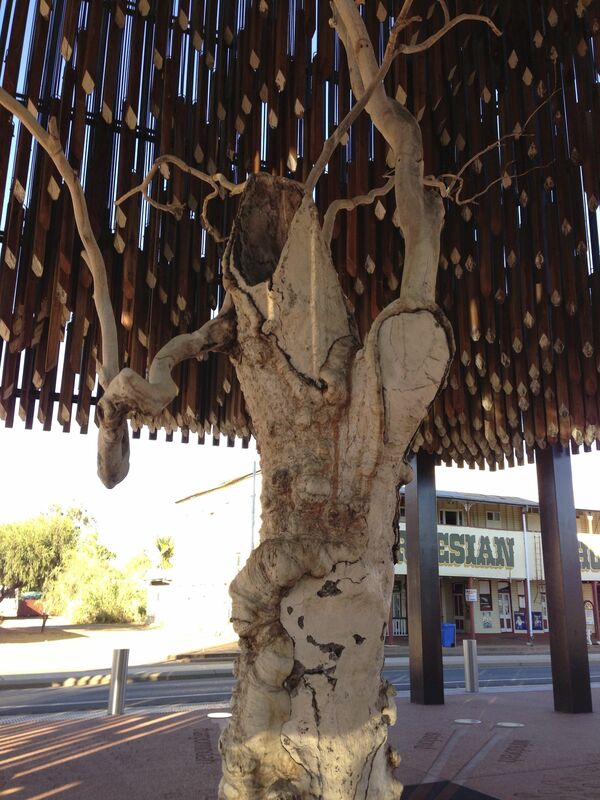 We haven’t done the Spirit of the Outback trip yet, but it’s on his list. 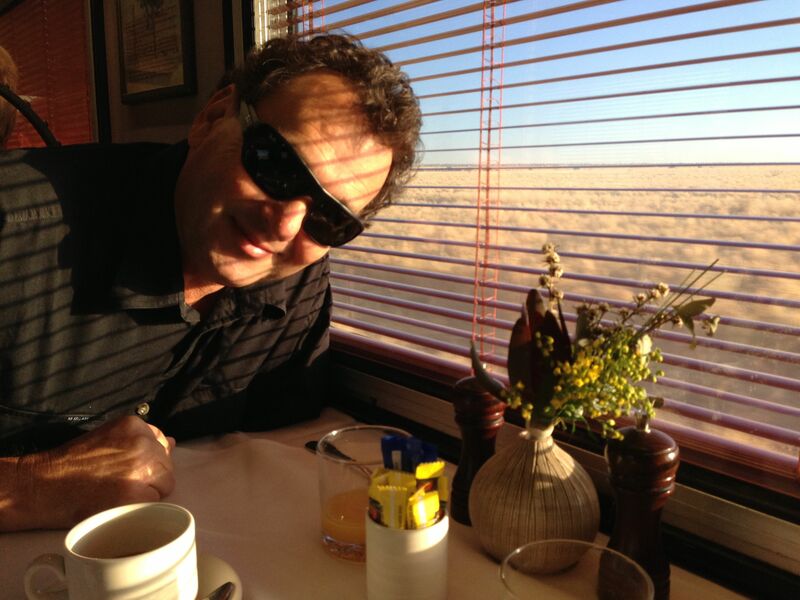 From his train travel partner’s perspective, the Rocky Mountaineer was a highlight for me. Fabulous scenery, great food – and I wasn’t preparing any of it. Thanks for a great post, Cathryn and Fiona. My in-laws did the Rocky Mountaineer, Christine, and said it was spectacular. Must put that on the bucket list. Beats the Blue Mountains train!!! The TCS ladies were awesome on the The Spirit Of The Outback. We were running a little late and they couldn’t do enough for everyone – there was no way you could be anything but happy to spend more time with them. Love the sound of the Rocky Mountaineer. I’m glad they helped make your trip such a memorable one, Fi. I’m fairly sure conditions have improved for the TCS girls in the last 40 odd years – they could hardly get any worse than they were way back then. Slop pails under the kitchen benches that tipped up every time the train went round a bend, so we were slipping and sliding in spilt gravy, squashed peas and leftover Proto instant mashed potato. Don’t get me started on the industrial strength dishwashing detergent – that stuff could have stripped paint. But they were a great bunch of girls to work with. I used to commute to Sydney from the upper Blue Mountains for 5.5 years so train travel is a mixed bag for me. I think the best trip I did was from Boston to New York. Very comfortable and great scenery. That trip sounds great Fiona. I can imagine that would make you a little bit over it, Keziah. 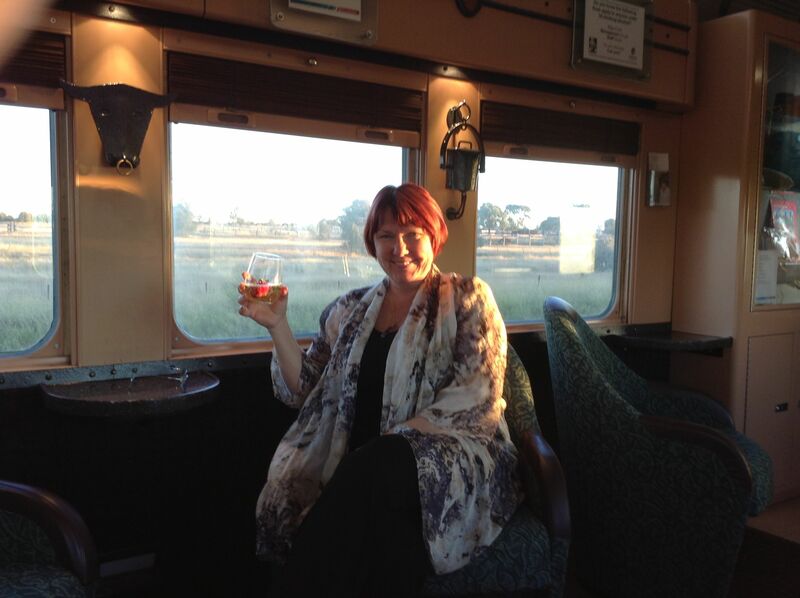 But the tourist trains are something special, especially when you can drink bubbly! Now that’s civilised. Best one I did was the Flam railway in Norway. That was AMAZING. Thanks, Keziah. We had fun and the thought of my car scooting along behind all on its own in the back made me smile. Yum, Fiona! 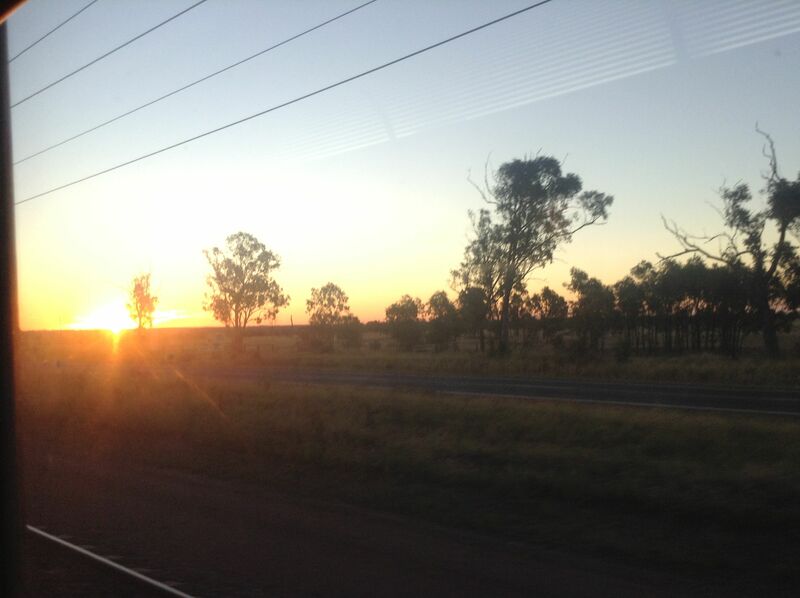 Trains, outback, food and wine. And you’re so right about our beautiful country. Hi Lilian and thanks for dropping by. Yup, all those things go together perfectly. Must get away for a holiday and try them myself! Shamefully addictive, though, Lillian. I wonder if horses like trains:) I could see them glancing around in the back carriages on their way to an event, too. 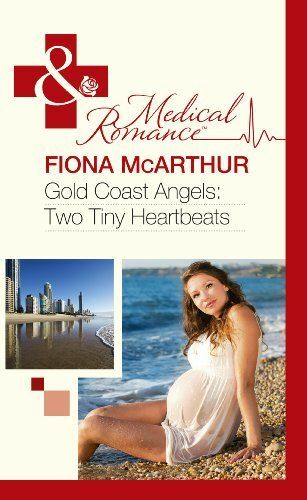 Gorgeous post, Fiona and Cathryn — makes me want to book it straight away. 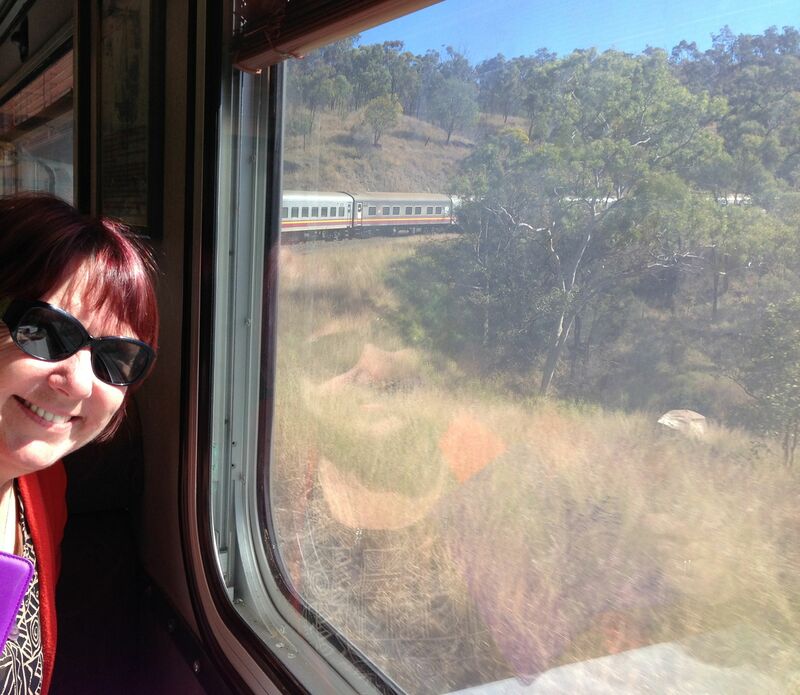 I’ve done lots of fabulous train journeys – I used to train regularly from Melbourne to Brisbane when I was a kid. I’ve trained from Vancouver to Prince Rupert in Canada — spectacular scenery! — and the first time I backpacked around Europe I had a Eurail pass, and planned my trip to include as many of the most scenic train trips(as defined by the Thos. Cook guidebook) as possible and that was truly brilliant. 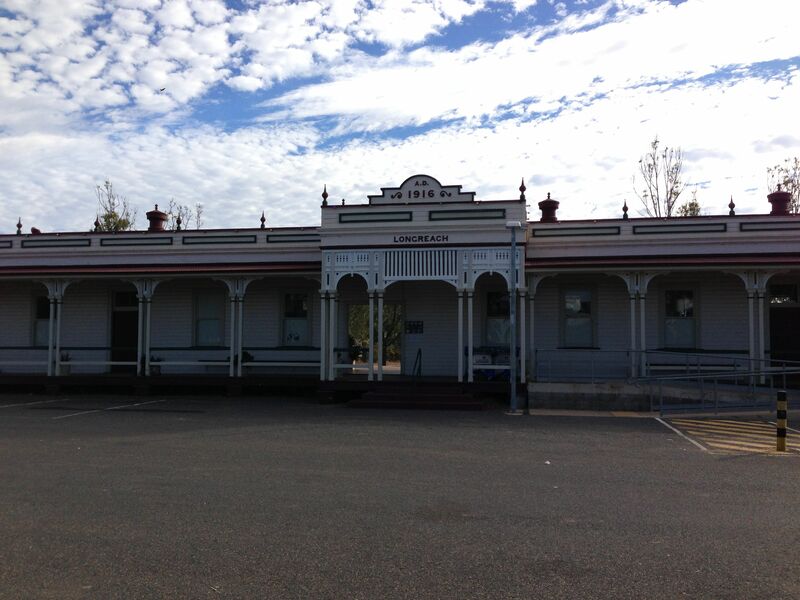 I would love to take the train across the Nullabor, and then there’s the Orient Express. Last big train trip I did was Melb-Syd on CountryLink, the overnighter so not much opportunity for scenery! 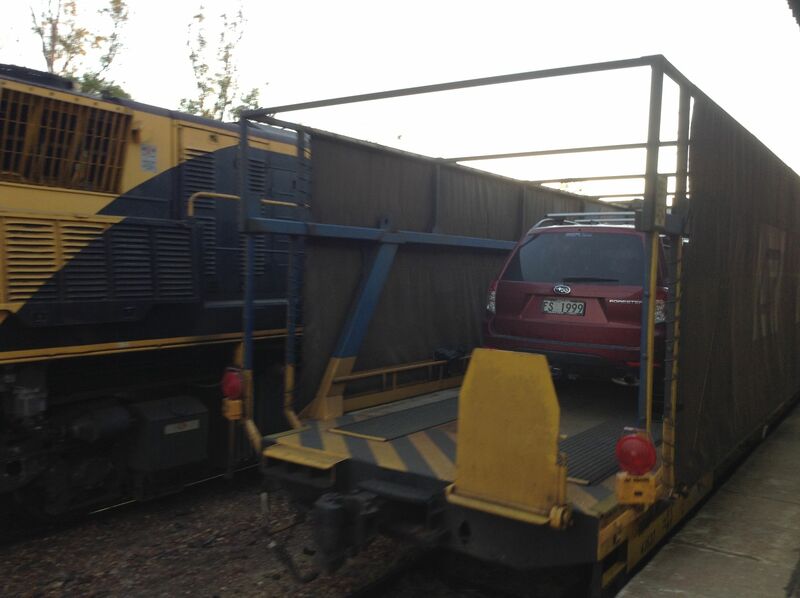 It arrived at Strathfield at about 7am only for me to discover my connecting train back to Richmond had departed 5m before. I was stuck there on the platform for an hour on a Sunday morning with nothing open. Good times! 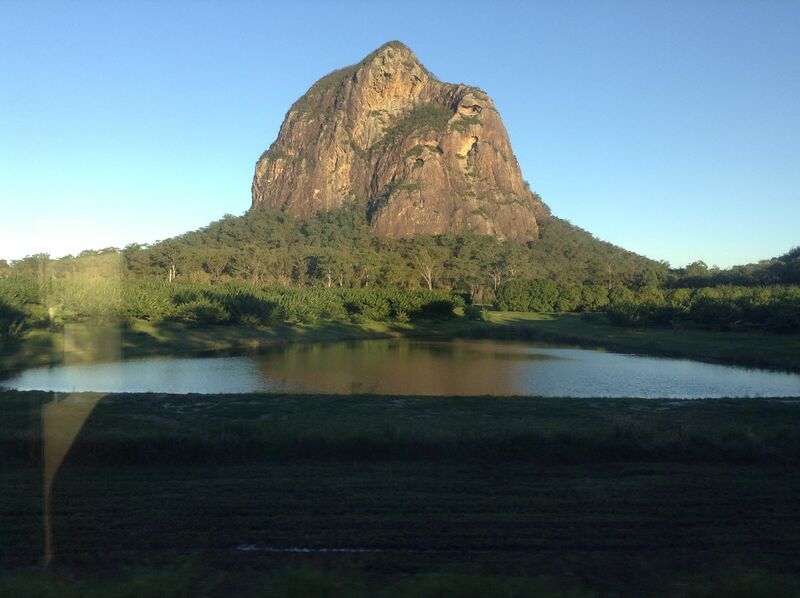 Have also traveled the trip from either Sydney or Broadmeadow to Wauchope many times on Countrylink, which is a rather nice trip up through Gloucester etc. If I had the money, I’d love to do the Ghan and the Indian-Pacific (probably one way and fly back). Didn’t there used to be a Big Cow near Wauchope? I used to sell pasture seed there… LOVED doing the drive up to Comboyne and then down the other side on the logging track. Beautiful scenery. I sympathise with being stuck waiting for a train, Bree. Almost always happens when there are limited facilities open. Thank goodness for good books! The Ghan is expensive, which I why I’m so keen on your Spirit of the Outback, Fi. A nice taste without the expense. Great post, Fiona!!! I adore train travel although haven’t done any in many a year. Covered Europe top to tail on the Eurail pass. We always stopped at a little traiteur or market to buy provisions for the trip and NEVER travelled without a corkscrew, knife and plastic cups. Sighing now about the many feasts of meats, cheeses, crusty rolls and red wine we devoured en-route. And how civilised that European trains didn’t frown on a bottle of plonk being produced at lunchtime. Pull into the Italian stations and grab an espresso served from a cart right at your window. Your trip sounds wonderful and I just may need to add that to the list! Oh wow, Louise, loving the sound of the cheeses and rolls and plonk at lunchtime while passing the Italian countryside. I can see I need to revisit Eurorail. Rosie and I travelled from Rome down to Matera and didn’t think to do that but do remember the gorgeous coffee at Rome and Venice Stations.